The abysmal stories of botched sterilization and incompetence of doctors continue. Today’s news shows authorities in Himachal Pradesh have suspended a doctor who allegedly fell asleep in the midst of performing sterilisation surgeries. A report showing bicycle pumps being used on 56 women during tubectomies at a camp in Odisha's Angul district on 28.11.2014 was shown by the media. The state government took action and after an administrative probe, issued a blanket ban on sterilization camps. "The government has decided that henceforth no such camp will be organized for sterilization to ensure quality care. Only established healthcare centres with proper operation theatres can conduct the surgeries adhering to universal infection prevention practices only on Mondays between 9 am and 4 pm. Stringent action will taken against those found not following standard operation procedures," health secretary Aarti Ahuja said. In no condition can a doctor perform more than 30 surgeries a day, she added. This is definitely a step forward to ensure guarantee of reproductive rights and better health facilities. However, provision to provide alternates of birth control need to be amped up. This would help not only to keep the population in check but actually provide a ‘’choice’’ tothe woman. Informed choice is the best option when it comes to birth control. 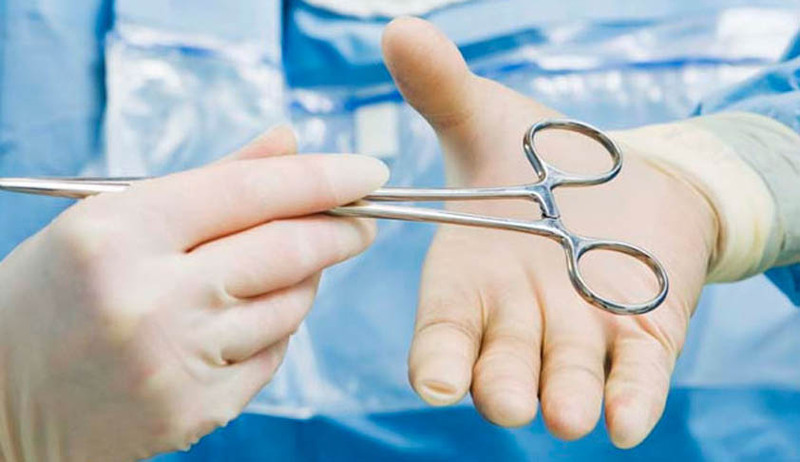 Tubectomies, sterilization should only be opted voluntarily by women who are aware of the risks of these procedures. Further, most women today are young and ideally should be using contraception other than these permanent procedures for health reasons. Ahuja said she had written to the district collectors to ensure that post-operative bed facilities and privacy of the women are ensured during such surgeries. Privacy is rightly mentioned here as an important element not only for surgeries but in terms of the overarching right to health. The government issued a show-cause notice to Angul chief district medical officer BidyadharSahoo for use of bicycle pumps at the Banarpal camp in the district and removed the operating surgeon, Mahesh Chandra Rout, from the government panel. These are punitive steps but in addition to these it would be necessary to analyse the reasons behind these shocking incidents. Why is human life so easily expendable? An analysis not only of competencies of doctors but also of the prevailing available options to women, other than tubectomies, is necessary. Awareness campaigns to make these options available and accessible to women is indispensible. The Odisha Human Rights Commission (OHRC) took suomotu cognizance of the bicycle pump use and sought government response within four weeks. OHRC called for a detailed report from the Angul CDMO and a response from the health secretary. "A sterilization camp held without adequate facilities is a serious health risk to women patients and use of a bicycle pump to inflate the abdomen of the patient with atmospheric air instead of carbon dioxide may lead to numerous health hazards." Doctors associated with sterilization programmes said the majority of sterilization surgeries were conducted in camps. "The state was aiming to sterilize 1,60,000 women and 20,000 men this financial year. Over 50% of the target was to be met through camps as the number of men and women who voluntarily walked into hospitals for sterilization is a small percentage," said a doctor. The disparity in numbers between the target of the government between men and women is astounding. But what should be noted that men and women still find it difficult to go to hospitals voluntarily. The overarching issue is the availability and accessibility of other forms of contraception and removal of any taboo that exists regarding safe and informed birth control would cause enormous benefits. The second part of the article can be read here.